Yesterday, I showed you the half eaten semi. Today's redneck photo is a trailer on blocks and wood. Yes, it is from the same location and equally of it's own photo. 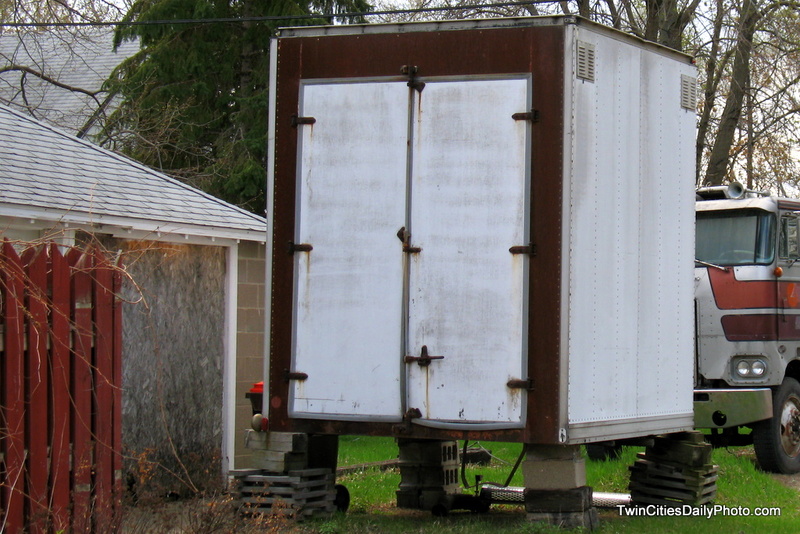 Pay close attention to the skill used to put this trailer above ground. What else can be said?